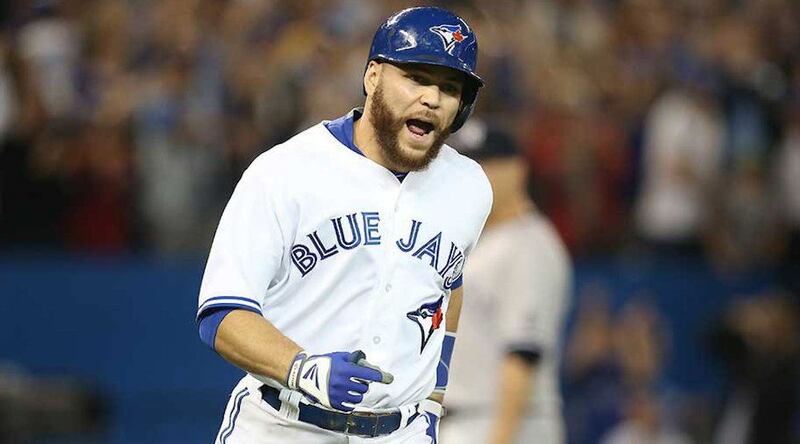 The Toronto Blue Jays have lost another fan favourite, as Russell Martin has been traded to the Los Angeles Dodgers in exchange for a pair of prospects. The Blue Jays are expected to pay a significant portion of Martin’s $20 million salary owed in 2019. Martin signed a five-year $82 million contract with the Blue Jays after the 2014 season. With the Blue Jays looking to get younger as a rebuilding team, the 35-year-old didn’t fit into their plans. Martin’s best days are clearly behind him, with his offensive numbers declining in each of his four seasons in Toronto. Last year he batted .194 with 10 home runs, 25 RBIs, and an on-base percentage of .338. Toronto receives a pair of minor leaguers, 19-year old shortstop Ronny Brito and 24-year-old pitcher Andrew Sopko, in return. Brito is 19 and hit .295/.359/.496 in 61 games with the DSL Dodgers and rookie-ball Ogden. Sopko is 24 and split last season between high-A Rancho Cucamonga and double-A Tulsa, posting a cumulative 3.52 ERA over 117.2 innings with 121 Ks. The trade to Los Angeles is a homecoming of sorts for Martin, who began his career with the Dodgers in 2006. The Montreal-born catcher has played 1610 games his 13-year MLB career with the Dodgers, Yankees, Pirates, and Blue Jays. Martin is the latest core player from Blue Jays playoff teams in 2015 and 2016 to leave town. Troy Tulowitzki was bought out of his contract last month, while Josh Donaldson was traded in August. Both Jose Bautista and Edwin Encarnacion left as free agents after the 2016 and 2015 seasons, respectively.